My husband has become a fanatic over coleslaw. I am not really sure were this obsession came from because when I first met him he did not eat coleslaw. He didn’t eat eggplant at that time either but he has become a lover of the Eggplant Parmesan recipe that I make. 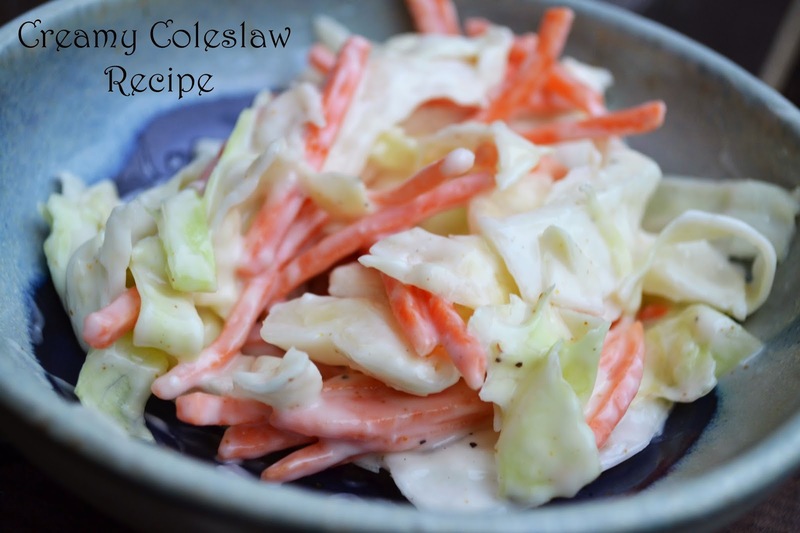 Needless to say this coleslaw recipe, is easy to make and delicious. You will want to keep a batch on hand throughout the year! Combine all ingredients listed above from the mayonnaise down with a whisk in a separate bowl. Pour over the cabbage and carrots and toss. Chill in the refrigerator for about an hour before serving.